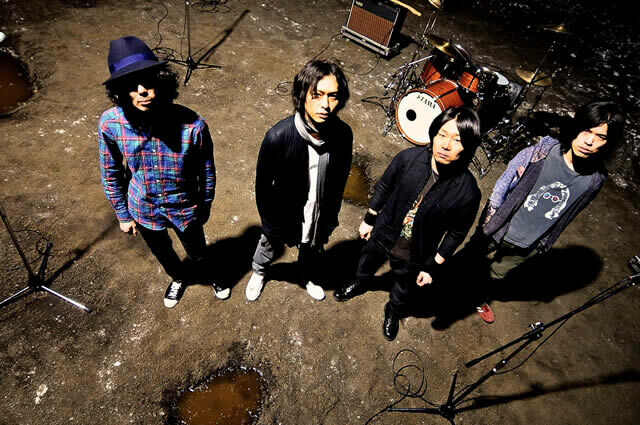 AOBOZU is a rock band from Odawara City in Ｊａｐａｎ. The member is hozzy (vocal), Yuuichi Tanaka (guitar), Takuro Watanabe(drum)andShinichi Fujimori (base/leader). Majors advancement in independent music in May, 2004 by album ‘Hiroshigeblue’ after it releases it of 1 album and single two pieces. The performance that is reliable and a vocal with a feeling of transparence who wore it by piling up a text about an imminent theme sympathized with to an excellent melody and many people and live broadcasting are the bands which are charm. It is self-produce by a member up to not only the making of sound but also the jacket ,the poster, and the art direction of tour T-shirt. The illustration of hozzy is used in some shape in the package since single “Spoon”.